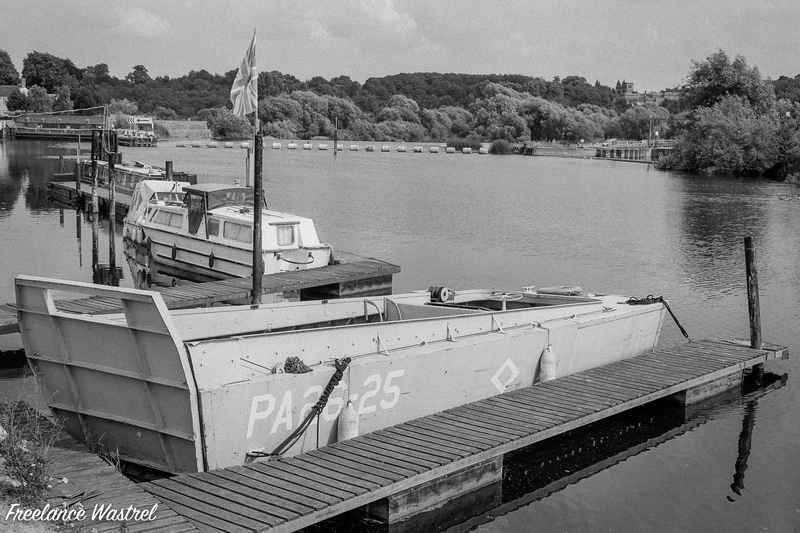 An unusual sight on the UK’s canal network… this Landing Craft, Vehicle, Personnel (LCVP) or ‘Higgins Boat’ was spotted at Beeston Marina in Nottinghamshire a couple of weeks ago. Designed by Andrew Higgins more than 23,000 LCVPs were built between 1942 and 1945, used extensively in amphibious landings in World War II, they were capable of carrying a 36-man platoon, a Jeep and 12 men or 8,000lb of cargo. Assuming the ‘PA26-25’ number is correct then this particular vessel was one of 33 assigned to the USS Samuel Chase (APA-26), an Arthur Middleton class attack transport ship launched in 1941.